The Enforcement Directorate raided seven locations in Bikaner, Rajasthan, on Friday, in connection with a land scam that allegedly involves Congress president Sonia Gandhi's son-in-law Robert Vadra. Last September, the ED had registered a money laundering case against some state government officials, middlemen and seven private firms, including the Vadra-owned Skylight Hospitality. However, the ED has not named Vadra in any criminal case under the Prevention of Money Laundering Act, according to The Telegraph. The seven firms have been accused of conniving with some state revenue department officials to acquire 360 hectares of government land in Bikaner's Kolayat region between 2007 and 2010. The modus operandi was to fraudulently allocate the land to non-existent "poor villagers" under the Rajasthan government's rehabilitation programme, and later sell it to the private firms. 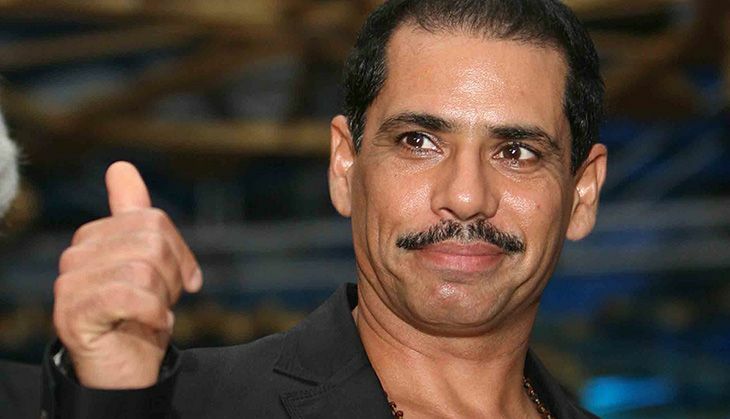 A senior official of the ED said: "The raid was carried out in Bikaner as part of the ongoing probe into the dubious land deal involving Vadra's company Skylight Hospitality. All the accused persons, whose companies were beneficiaries of the dubious land deal, will soon be called for questioning." Friday's raids were on the accused government officials and middlemen, described by the ED as land mafia.